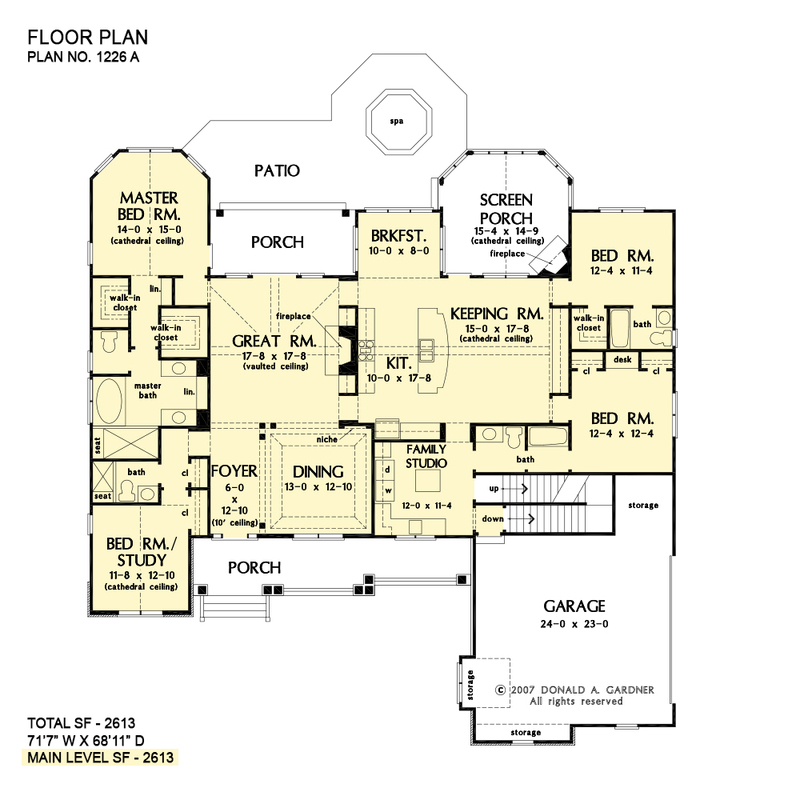 The Sagecrest's convenient one-story home plan design features all the elements of the perfect floor plan. The charming stone and cedar shake exterior is accented with cupolas and a shed dormer. Inside the home plan, the foyer leads to a dining room defined by columns and tray ceiling and a spacious great room with cathedral ceiling. The gourmet kitchen opens to a comfy keeping room and breakfast room with abundant windows. Two bedrooms and two full baths are located off the keeping room, while a bedroom/study with bath enjoys privacy on the other side of the house. Nestled at the rear of the home for ultimate privacy, the master suite offers a cathedral ceiling, dual walk-in closets and a well-appointed master bath with dual vanities. Outdoor living space is plentiful -- the rear of the home plan includes an enormous screened porch with fireplace, and a second porch can be accessed from the great room and master suite. The family studio provides generous space for household chores and hobbies, and also serves as a mud room with direct access to and from the garage. 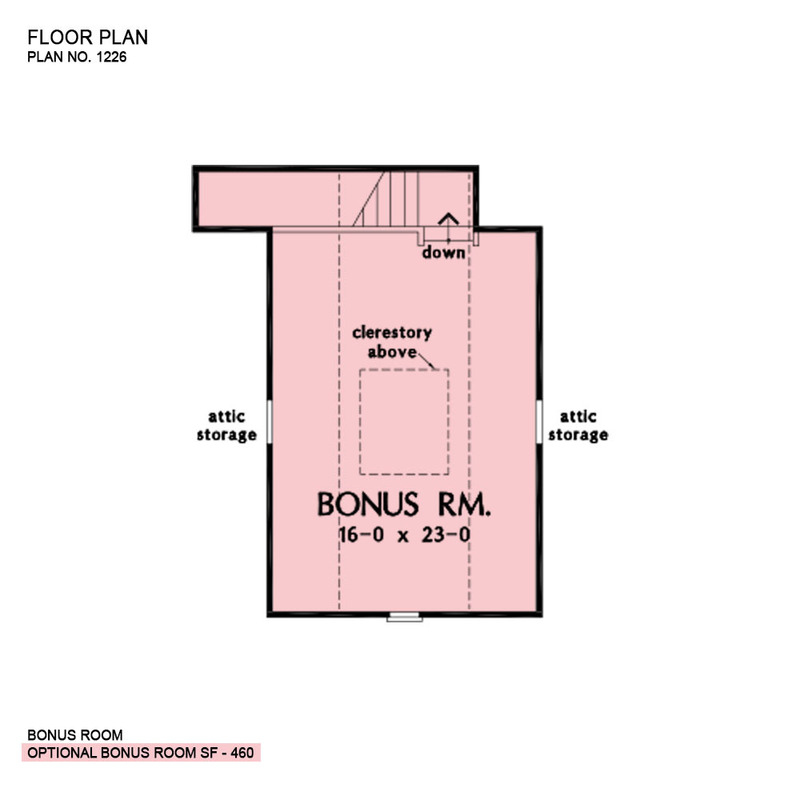 A large bonus space awaits expansion. 1st Floor: 2613 Sq. 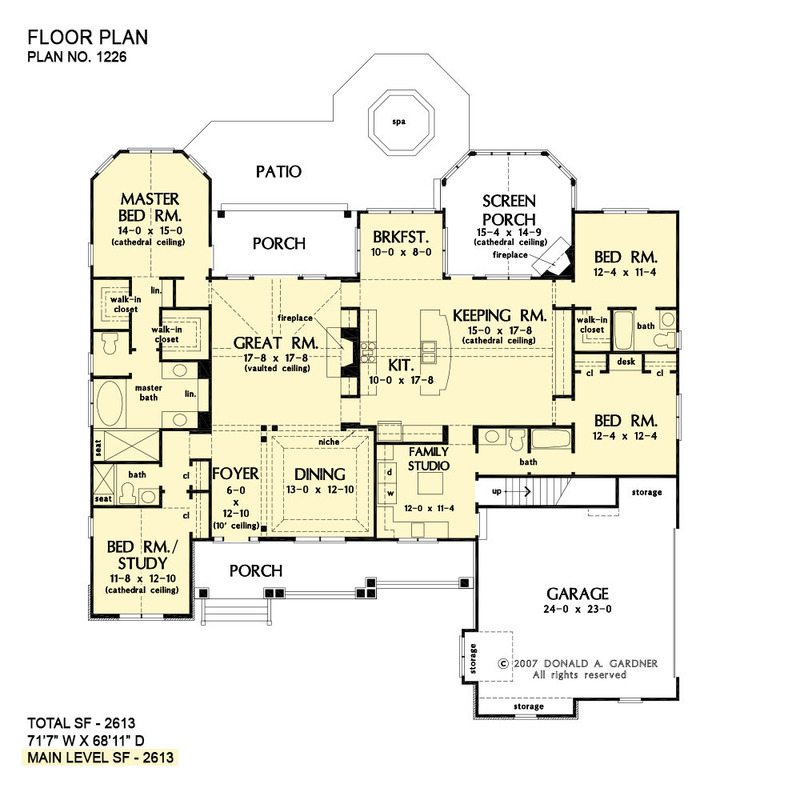 Ft.
House Dimensions: 71' 7" x 68' 11"
Great Room: 17' 8" x 17' 8"
Bedroom #3 : 12' 4" x 12' 4" x 9' 0"
Bedroom #4 : 12' 4" x 11' 4" x 9' 0"
Bedroom / Study (Cathedral): 11' 8" x 12' 10" x 15' 6"
Deck / Patio : 31' 3" x 19' 0" x 0' 0"
Foyer (Flat): 6' 0" x 12' 10" x 10' 6"
Garage : 24' 0" x 23' 0" x 0' 0"
Garage Storage : 7' 0" x 3' 8" x 0' 0"
Garage Storage Bay : 11' 6" x 2' 0" x 0' 0"
Great Room (Vaulted): 17' 8" x 17' 8" x 18' 0"
Kitchen (Vaulted): 10' 0" x 17' 8" x 18' 0"
Master Bedroom (Cathedral): 14' 0" x 15' 0" x 16' 9"
Other (Cathedral): 15' 0" x 17' 8" x 18' 0"
Family Studio : 12' 0" x 11' 4" x 9' 0"
Porch - Rear : 17' 8" x 8' 0" x 9' 0"
Porch - Front : 22' 4" x 7' 0" x 0' 0"
Porch - Screen (Cathedral): 15' 4" x 14' 9" x 17' 8"
Storage (1st Fl.) : 1' 8" x 6' 0" x 9' 0"